Officially known as the ‘New Beetle’, VW’s recreation of a classic was a market success even if it lost most of the unusual engineering that made the original so iconic. It’s not the greatest car to drive but then nobody buys a Volkswagen Beetle Cabriolet to go racing. That only happens in the movies. In reality this is a fun, stylish car with a neat power hood and room for four adults. 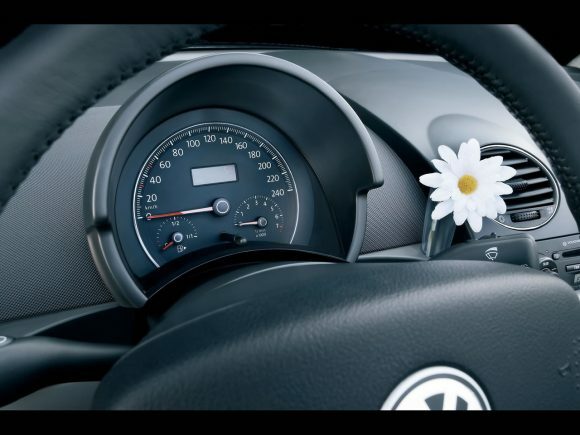 The wind won’t bother them, or you, even at motorway speeds and reliability is as you would expect from Volkswagen. Under the skin the mechanics are much the same as the Golf of the same period but the less reserved bodywork means that luggage space is reduced. Prices were temptingly low for the lower powered cars, just leave the fast driving to Herbie. 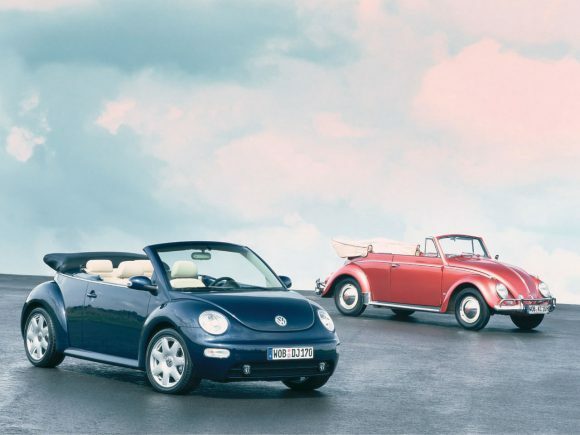 A Final Edition Beetle was launched at the beginning of 2010 and the all new and rather more capable replacement (the A5) arrived in 2013 making this one, the old New Beetle. 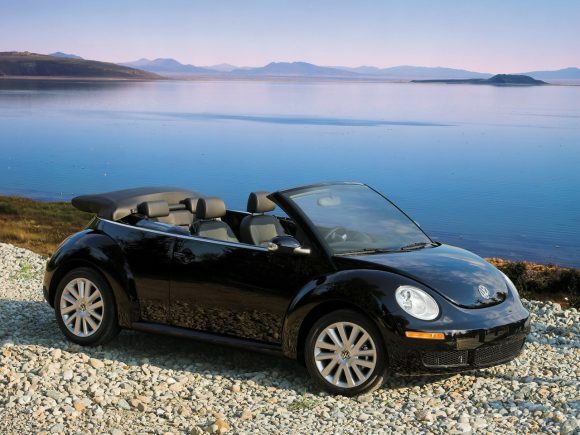 The entry level 1.4 litre Beetle Cabriolet was a little under-powered for its weight and was slow to get moving. 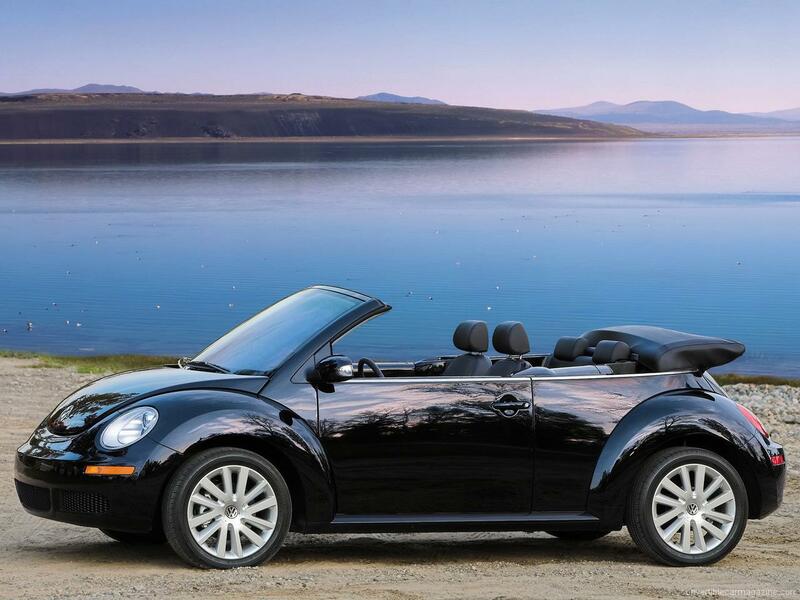 It did however make an affordable option for those looking for a fun every-day convertible. The Volkswagen Beetle Cabriolet 1.6 litre is our choice of the range. It has most of the power of the 2 litre car without the added weight and costs. In comparison, the 1.8T seems extravigant for a car that doesn’t focus on sporty performance. This more powerful turbo-charged engine gives a bit more punch to the 'new' Beetle Cabriolet and makes it easier to overtake slower traffic. 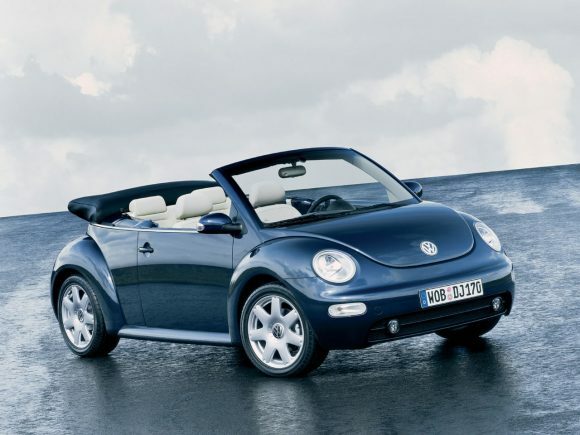 For the first time a diesel engine is available in a Beetle and it makes good sense for those travelling high milages. On the downside, the clattery noise and lagging response to sudden acceleration don't really fit in with the top-down driving experience. Created mostly for the export market, the 2 litre VW Beetle Cabriolet tops the range but has noticeably less power than the 1.8 turbo and uses more fuel. The Tiptronic gearbox is a bit sleepy compared to the modern DSG units but is solidly made and suits the car well. 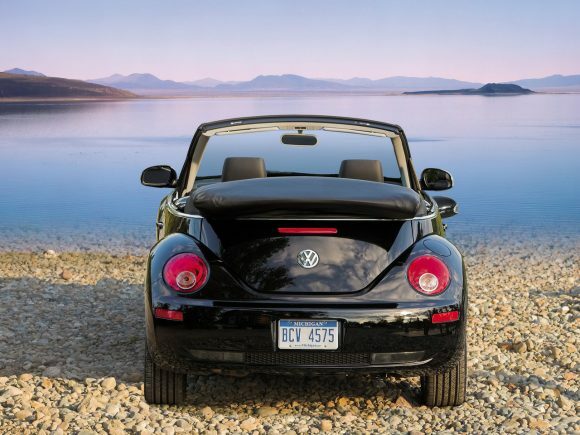 Do you drive a Volkswagen Beetle Cabriolet? Would you recommend it to others? Join the conversation and let us know what you think of the car. This Volkswagen currently has 2 owner reviews. “Reliability is as you expect from VW? !” I guess, compared to Jaguar or Yugo, that’s a compliment? If you understand that driving this car is more like driving a Morris Minor than driving a modern car then all will be good. It doesn’t soak up the bumps you need to avoid them, it squeaks, creaks and thumps. If you misread a bend in a modern car it will quickly recover its composure and you can motor on. In the convertible it takes time to recover. But if you have mechanical sympathy and you can read the road and its bumps this is a fabulous car. This is old school, the steering, the brakes, the suspension, the tyres, the engine and the gearbox all talk to you and if you listen it is a rewarding drive. But when you change all four tyres you will need to start again and play with the tyre pressues to get the balance back…and it does 60mpg.